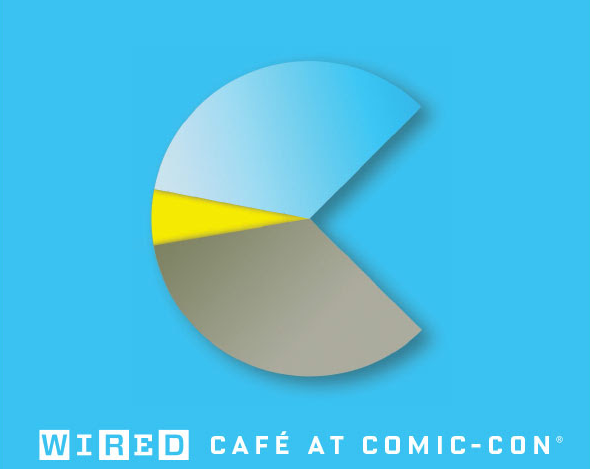 Are you curious to know what exactly happened at the WIRED Cafe this year during San Diego Comic-Con International? Well this is what we got up do at the party. We decided to queue up before the party opened at 11am on 9th July, 2015, to make sure we got in as it was expected it would hit full capacity early on. 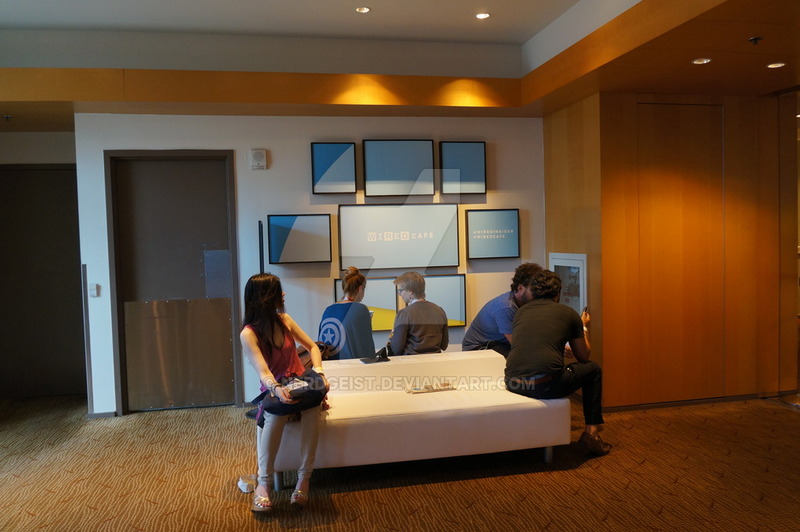 Even though we arrived early there was already people waiting on the sixth floor of the Omni San Diego Hotel, however as soon as they allowed guests to pick up their wristbands things started to go smoothly. There was tighter security this year to make sure (venue capacity is 350) that once it reached capacity, no one else was allowed in until enough people left. Now you can imagine the chaos that ensued. Fearing that they wouldn’t be able to get in again many of the guests (including us) stayed, which meant some of the guests in the queue hoping to get in waited in excess of an hour. Now it just wouldn’t be a San Diego Comic-Con event if there wasn’t a queue somewhere. It would be nice if they could find a sponsor to fund next year’s event so that it could be more than one day. It certainly could help with crowd control but then again from what I hear next year could also be a one day event. I guess if you want in then get there early. Once we registered and picked up our wristbands the first thing we did was scare ourselves with the Catatonic VR experience. Catatonic is an immersive journey through an insane asylum in which the audience, bound to a wheelchair, undergoes a sensory-shocking horror thrill ride. 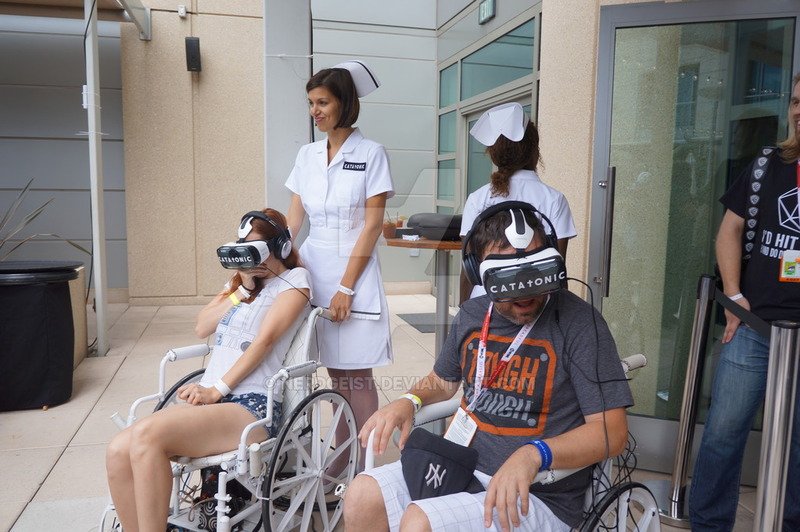 Me (Nerdgeist Editor Jenny) and a fellow guest experiencing the Catatonic VR experience. It was a good thing you aren’t literally strapped to the wheelchair or you would end up going crazy yourself. 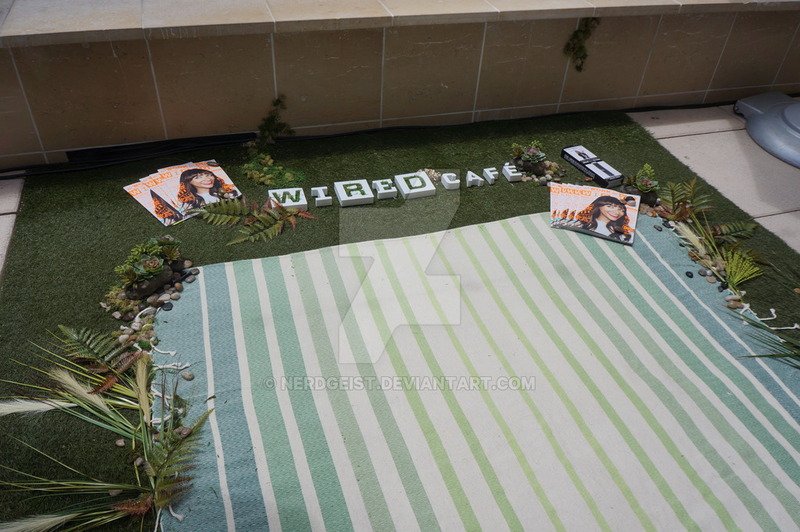 Without HBO as a sponsor this year, WIRED Cafe became a one day event instead of the usual three day party bonanza. 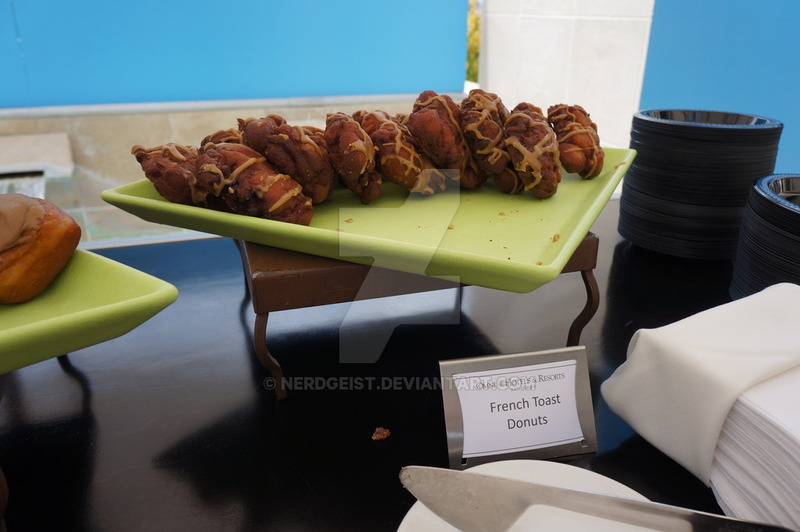 While this year’s event didn’t have the Ommegang Brewery providing Game of Thrones themed beers, they did have a bigger and better selection of food this year. 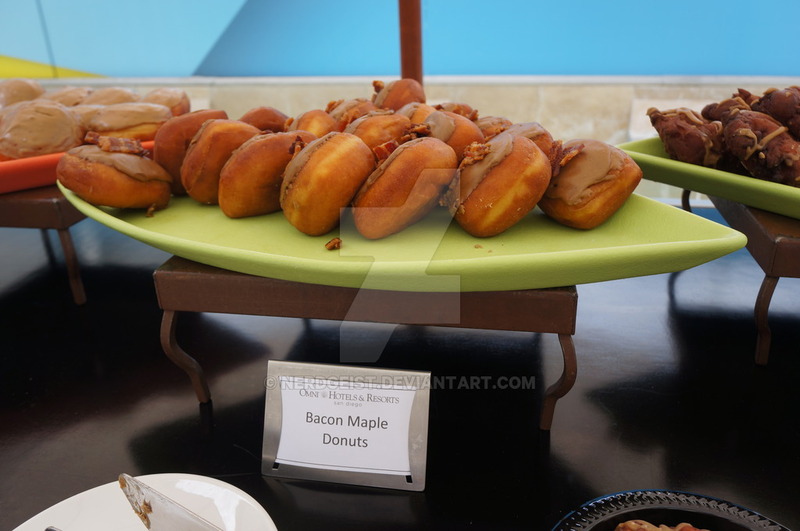 I filled up on delicious treats including bacon maple donuts and french toast donuts. If you don’t have a sweet tooth there was of course the usual classics on offer including sandwich platters. Ben & Jerry’s provided a custom menu of alcoholic ice cream including Spectacular Speculoos, Butter Pecan and Save our Swirled. If only the ice cream didn’t melt so easily in the San Diego heat. 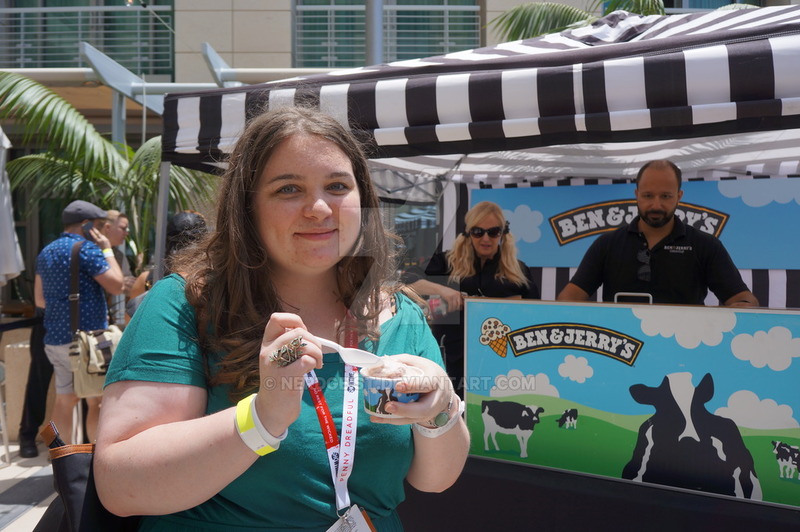 Our writer Imogen tries the ice cream. 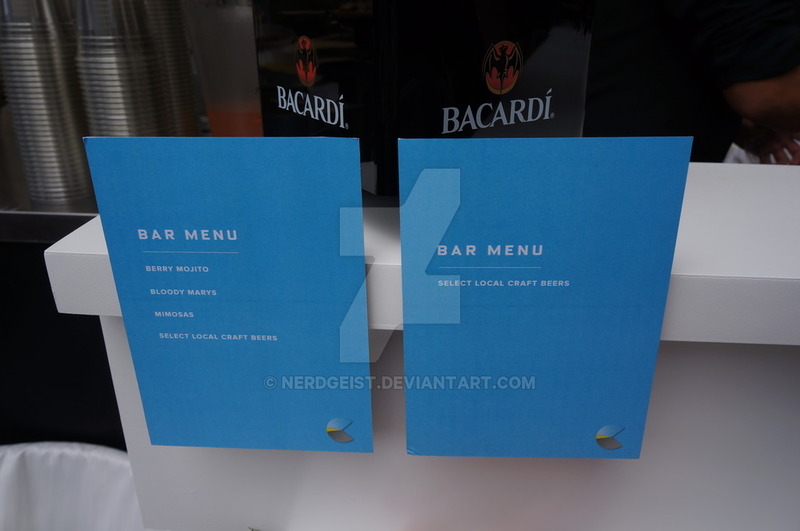 Let’s not forget the drinks menu, one of the many perks of the WIRED Cafe is the open bar and it was also the first time I tried a mojito. The berry mojito tasted better than I expected but if i’m honest then I definitely ate more than I drank. You know it’s good even when Charles Michael Davis (Marcel Gerard in The Originals) stops you and asks you if that’s bacon you got there. It wouldn’t be a party without any music and a DJ to get everyone up and dancing. Even though selfie sticks are banned at Comic-Con, that didn’t stop SelfieOnAstick.com from being a sponsor at WIRED Cafe this year. Co-Founder and CEO of Selfie On A Stick LLC Jacqueline Verdier and her business partner Dominic Suszanski helped guests at the WIRED Cafe take selfies to remember their experience at the party. Actor Mark Christopher Lawrence and Selfie On A Stick CEO Jacqueline Verdier at the WIRED Cafe! Founded in New York City, SelfieOnAstick.com is quickly catching on as America’s leading provider of branded selfie sticks, the hottest gadget for taking the perfect selfwe, group photo or sweeping panorama. Best friends and business partners Jacqueline Verdier, CEO, and Dominic Suszanski, President, founded Selfie On A Stick LLC. Jacqueline and Dominic were on holiday together in Asia in 2014 and immediately recognized the need for a selfie stick in the American market. Utilizing their keen eye for emerging trends, Jacqueline and Dominic recognized the opportunity to create the Selfie On A Stick brand of premier quality selfie sticks and launched Selfie On A Stick LLC and the www.SelfieOnAStick.com website in July 2014. Leap Motion was another great VR experience, in fact it’s the best interactive virtual reality I’ve ever experienced so far. It allowed users to experience a complete 360 degrees experience as you try to touch and move objects around as an Astronaut at a space station above Earth. Epilog Laser offered complimentary custom laser engraving services on iPads, laptops, cell phones, and other tech gadgets for those with access to the café. 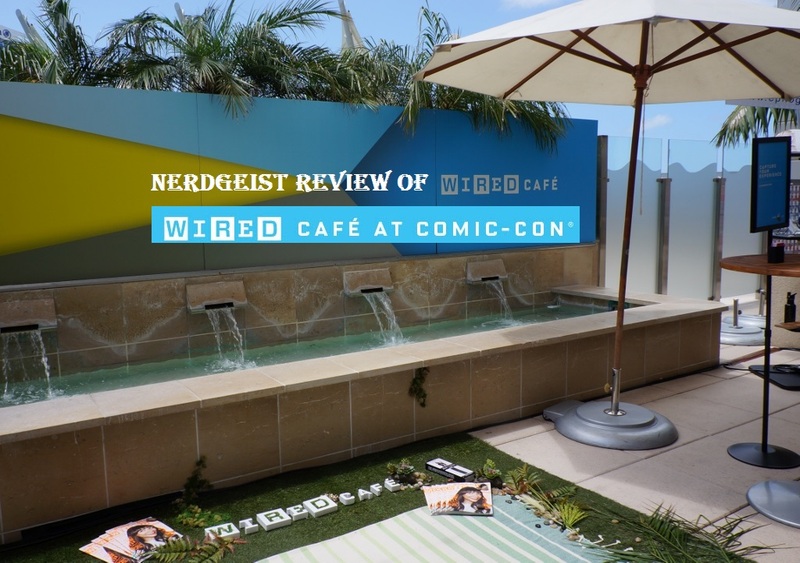 WIRED Cafe also provided guests with free wifi, free charging stations and seats to unwind and relax for a long weekend ahead with Comic-Con. 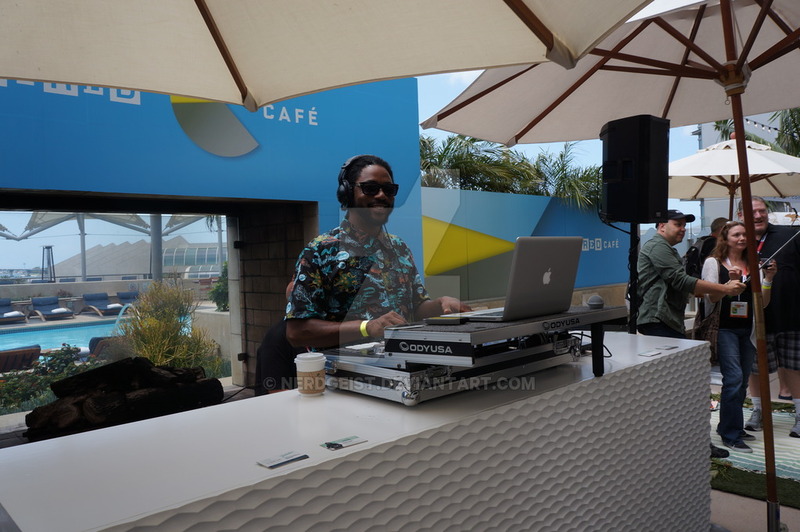 WIRED Cafe proved that even as a one day event it still is a great place to unwind from the chaos and stress of Comic-Con. 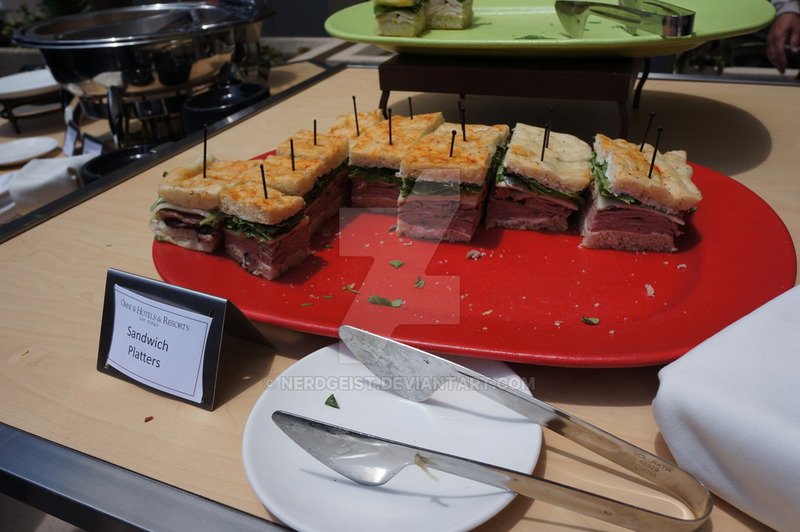 Lastly we hope WIRED Cafe will be back next year. Location: On the rooftop of the Omni Hotel, San Diego.